Come hear why Mozart, Beethoven, and Brahms looked to Haydn’s deeply expressive, sophisticated and witty masterpieces for inspiration when the Haymarket String Quartet presents the complete cycle of six quartets on period instruments for the first time in Chicago. Haydn’s six string quartets Opus 20 were pivotal in the history and development of the string quartet. In these thrilling masterpieces, the 40-year-old Haydn shook up the status quo first violin-dominant texture by spreading melodic and contrapuntal interest among the four instruments. This ground-breaking egalitarian style set a new standard in the string quartet genre. Elizabeth Blumenstock is a long-time concertmaster, soloist, and leader of the San Francisco Bay Area's Philharmonia Baroque and American Bach Soloists, concertmaster of the International Handel Festival in Göttingen, Germany, and artistic director of the Corona del Mar Baroque Music Festival. Her love of chamber music has involved her in several accomplished smaller ensembles including Musica Pacifica, Galax Quartet, Ensemble Mirable, Live Oak Baroque, and Voices of Music. In addition to Juilliard's Historical Performance program, she teaches at the San Francisco Conservatory of Music, the American Bach Soloists' summer Festival and Academy, the International Baroque Institute at Longy, and the Valley of the Moon Music Festival. Ms. Blumenstock plays a 1660 Andrea Guarneri violin built in Cremona, Italy, on generous loan to her from the Philharmonia Baroque Period Instrument Trust. As a period instrument performer, Jeri-Lou Zike is concertmaster of the Haymarket Opera Company, where she also manages the orchestra. Other musical credits include concertmaster of the University of Chicago Rockefeller Chapel Concerts and Chicago Bach Ensemble, as well as performances with His Majestie’s Clerkes, Kansas City Music Consort, Baroque Band and Music of the Baroque’s first period instrument concert. She also has, ever since their inception, performed with City Musick and Basically Bach, two fine period instrument orchestras in Chicago. 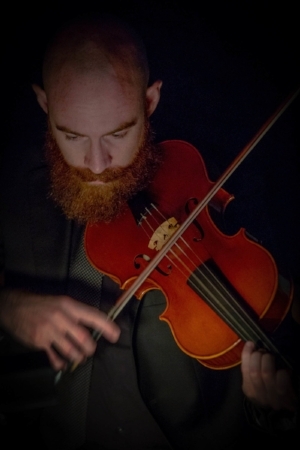 Dave Moss, is a graduate of The Juilliard School and Oberlin Conservatory and is currently pursuing his MBA in finance at University of Chicago. He intends to combine business acumen with artistic excellence to foster a strong future for the arts in Chicago. An accomplished chamber musician, Moss has performed with Joshua Bell, Itzhak Perlman, Jamie Laredo, Miriam Fried, Shmuel Ashkenasi, Yo-Yo Ma, Renée Fleming, and with members of the Juilliard, Guarneri, and Ying Quartets. He has appeared on the world’s major concert stages including Carnegie Hall, Avery Fisher Hall, the Metropolitan Museum of Art, the Kimmel Center, the Kennedy Center, the Smithsonian Museum, and Chicago’s Symphony Center. He has recorded for Cedille Records, Naxos and Sony Records and has been heard on the BBC, PBS, and is a frequent guest on Chicago’s WFMT. As an orchestral musician he has performed with the Metropolitan Opera Orchestra and the Chicago Symphony Orchestra. His interest in historical performance has led him to work recently with Tafelmusik and with Mark Padmore at the Britten-Pears Festival, as well as performing with Haymarket Opera Company, Baroque Band, and Callipygian Players. Dave makes his home in Chicago where he is an active member of Old St. Patrick's, the Chicago Yacht Club, and the Metropolitan Club. Craig Trompeter, has been a musical presence in Chicago for more than twenty years. As an acclaimed cellist and violist da gamba he has performed in concert and over the airwaves with Second City Musick, Music of the Baroque, the Chicago Symphony, Lyric Opera of Chicago, Chicago Opera Theater, the Cal Players, the Oberlin Consort of Viols, and Great Lakes Baroque. He has performed at the Metropolitan Museum of Art, the Art Institute of Chicago, the Glimmerglass Festival, the Brooklyn Academy of Music, and the Valletta International Baroque Festival in Malta. He has appeared as soloist at the Ravinia Festival, the annual conference of the American Bach Society, with the Chicago Symphony Orchestra, and with Music of the Baroque. Trompeter has recorded works of Mozart, Biber, Boismortier, Marais, Handel, Greene, Henry Eccles, and a potpourri of Elizabethan composers on the Harmonia Mundi, Cedille, and Centaur labels. As a modern cellist, he was a founding member of the Fry Street String Quartet. He premiered several chamber operas by MacArthur Fellow John Eaton, performing as actor, singer and cellist. Most recently he served as Music Director for Francesca Caccini's opera La liberazione di Ruggiero dall'isola d'Alcina at Utah State University. He has taught master classes at his alma mater, the Cleveland Institute of Music, Grinnell College, and the Chicago Musical College. In 2003 he founded the Feldenkrais® Center of Chicago where he teaches Awareness Through Movement® and Functional Integration®. He has given Feldenkrais workshops throughout the nation in universities, music conservatories, and dance studios.